As a business owner, the people you work with are your most valuable asset. They contribute to the company culture and help you to grow your business and increase revenue. But sometimes team members – and sales team members in particular – don’t perform as well as they could. Why? It’s all about their attitude. The science proves that a more positive attitude helps you achieve more and make better decisions. In contrast, negative emotions stop people from seeing all the options that are available, which means they make poor decisions. Being positive also helps your interactions with other people. Time Management Ninja says that positive people are more confident, have higher energy levels and find that people around them are more helpful. So the key to better sales performance is to turn your sales team into more positive, more confident people. With everyone performing at their peak consistently, you will see a resulting boost in productivity. To make this happen, foster a culture where negative emotions don’t end up impeding your goals and distracting you from what you want to achieve. Instead, make the choice to be positive, and find new ways to be productive and new attitudes with which to face new challenges. Here are 12 tips to foster that positive, confident atmosphere within your company so you can boost sales team productivity. Whether you’re running the company or are a member of a team, surround yourself with positivity. Ban negative self-talk in favour of a positive attitude. If everyone around you is confident and positive, then it will be easier for you to be confident and positive too. If the whole team is positive, that’s great for morale, so ignore the naysayers and keep the atmosphere happy. Similarly, recognise the strengths of individual team members and let them use and build on them. When sales team members are confident in their skills, they will be more productive, and open to opportunities for growth and development. Read how to identify the strengths of a great sales person and hire for them. By nature salespeople are competitive. As Cliff Kennedy says: “Great sales people love to sell; they sell because of the experience, not simply for the commission.” That’s why you can tap into that competitive nature and encourage friendly rivalry to improve productivity and sales. Rewards are a great motivational tool. They don’t have to be large. Any acknowledgement of achievements and strengths will help team members feel appreciated. Rewards also work well with the competitive atmosphere mentioned above. If you truly want your sales team to be confident and productive, give them the tools they need to make sales easily. That means providing the information they need to answer the questions customers ask. A knowledge base that they can call upon their tablet puts answers at their fingertips, making it easier for them to close sales. And if a topic is missing, use their feedback to ensure that answer is available next time. Over time, your knowledge base will become a great resource for your team. Training is another good confidence builder. Take the time you need to give team members the help they need to be effective and productive. Then go into the field to assess how they execute the strategy and close sales. Give feedback to create a cycle of continuous improvement and you will see the results in the sales figures. Sales team training must also cover how to create value for your customers. 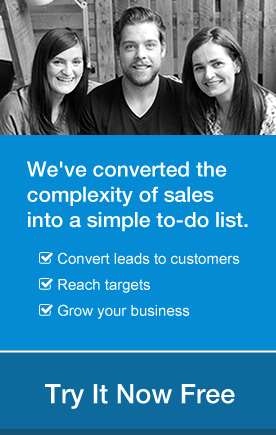 Help your salespeople to see themselves as experts in their patch and in your business. Help them to expand their expertise so they can solve problems for your customers. The more they are able to do this, the more confident and productive they will be. This approach will create a positive cycle of excellence which will benefit everyone and bring in revenue. Let your team have input on creating your sales strategy, outlining benefits to clients, deciding on targets and thinking about rewards. Find out what motivates them and build that into your team strategy. This empowers your team members, enabling them to make better decisions and ultimately more sales. Time spent on this upfront is not wasted time; it’s a long-term strategy which will build loyal, committed and productive team members. Communicate. If you have to over communicate. Effective and honest communication keeps your team connected to the business and to you so that they are poised for success. Make sure that you are in contact with your team regularly so they have the information that they need and feel a part of the overall company. Authentic and honest communication will win every time. Encourage your sales team to be creative, to take risks and to laugh at themselves. When people aren’t afraid to try new things they find new ways to make sales, and feel more confident when these are successful. Remember to use positivity boosting techniques like motivational talks, meditation, exercise, visualisations and so on to create greater confidence, clearer thinking and better relationships both within the team and with your customers. Finally, don’t forget that you’re the one hiring the sales team. Trust your own judgement and you will not only build a team you will be proud of, but you can use the strategies above to turn them into a productive and confident sales team. The infographic below summarises a research report from The Bridge Group, who surveyed 355 leading B2B companies, revealing how they organise their sales teams and reward their sales development reps (SDRs). Read the full report here. In sales, what does ABC 'Always Be Closing' mean? Sharon Hurley Hall's career has spanned more than 20 years, including stints as a journalist, academic writer, university lecturer and ghost writer. She is fascinated by the modern sales process and enjoys writing about ways to enhance productivity and motivation in business. You can also connect with Sharon on her personal website. 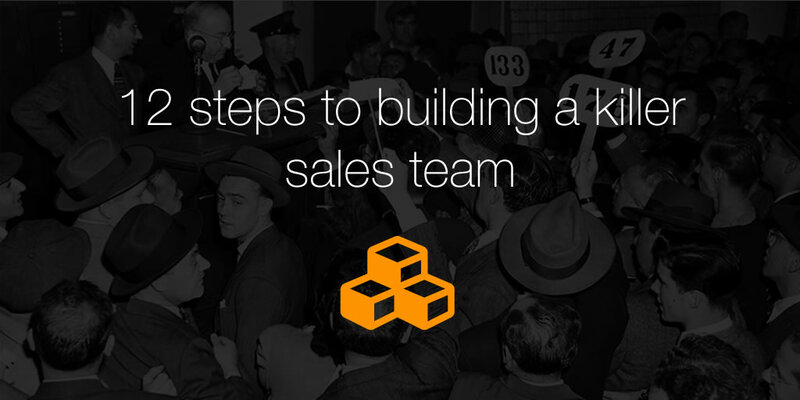 These are great tips for building a strong sales team. I especially love your use of the infographic. I agree that equipping your sales team with the right tools will greatly increase their ability to sell. In addition, your mention of building on your team’s strengths is a smart move that not only breeds more success, it keeps your team motivated. I would love to add that improving your hiring process can help you build a successful team from the start. By administering personality tests to evaluate talent, you can get the right people in the right places from the start. Thanks for sharing! Thanks for the great feedback Christopher! Nice addition on the improved hiring process too, couldn’t agree more.